After receiving the award, internationally renowned Litvak painter spoke about his life and creative path as well as answered questions from the audience. Samuel Bak Museum’s opening week was crowned on November 20 by Samuel Bak’s meeting with society. During the event, greeting words were delivered by the Director of the Vilna Gaon State Jewish Museum Markas Zingeris and the chairman of the Lithuanian Parliament Viktoras Pranckietis. 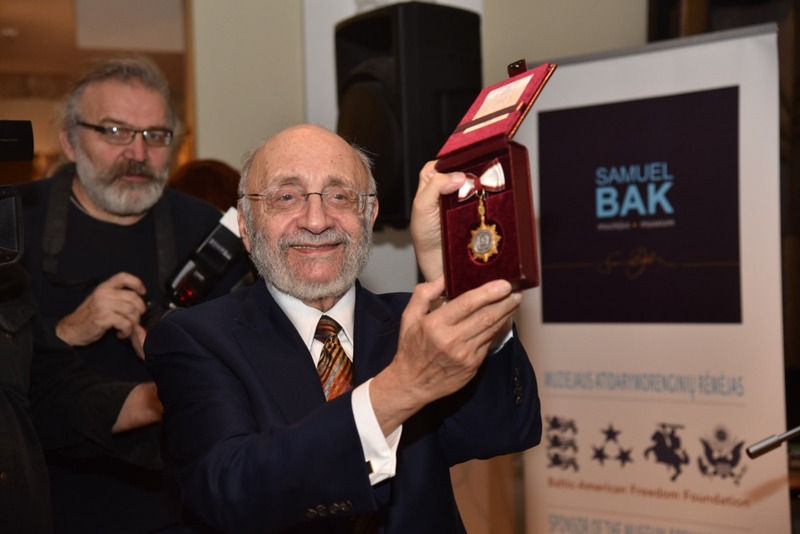 Moreover, S. Bak was solemnly awarded with the medal “For the Merits to Vilnius and Nation”. Moments of the event. Photo credit: Paulius Račiūnas.